Note: this is just my opinion. The OSI board may have a different opinion if it speaks as a body. Microsoft is spreading FUD (fear, uncertainty and doubt) with their latest anti-Linux patent campaign. If they had an actual, solid case of patent infringement, they would go to a judge, get an injunction against the distribution of Linux, and sell patent licenses for FreeBSD. The fact that they don't, but are willing to sell patent licenses for an unnamed set of infringed patents, says that they have no legal case. Their claims of infringement are just claims. Unless and until they name the patents, nobody can tell if their claims are valid. Maybe they are? Maybe they aren't? Nobody but them can say, and they have a huge incentive not to say. Microsoft's Horacio Gutierrez has been quoted as saying, "This is not a case of some accidental, unknowing infringement." In fact, yes, it is -- and until Microsoft names the patents, it will continue to be. 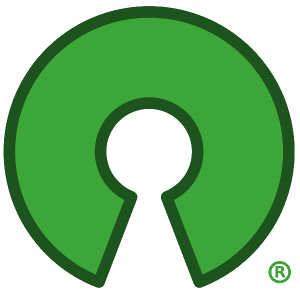 Open Source developers want their intellectual property to be respected, and are willing to respect other people's property. If you look at real property law, you can see emblazoned all over it the principle that you must be effectively INFORMED of your trespass. The property must be posted, or if it not posted, you must be told verbally or in writing "you are trespassing". Without that specific notice, there is no trespass. Without Microsoft identifying specific patents, there is no infringement. The real patent, one which wouldn't give Microsoft pause, is a patent on something which is basic to the industry, and which cannot be challenged as obvious or prior art. It can't be worked around (usually) and is very solid. If such a patent existed, Microsoft would do something like take a copy of FreeBSD (which doesn't use the GPL), and sell it with a license for this magical patent. That they don't do the obvious, makes it obvious that they can't, so they won't. The only thing we have to fear is FUD itself. I bet there are quite a few patent violations from Microsoft's original OS (DOS) of the original AT&T UNIX ? Now a days, Microsoft are very much strict now regarding their patent violations and microsoft sue to many those illegal place holders. In May Microsoft loses $200m patent violation case which is also a hot story now in email marketing. The jury ruled that the custom XML tagging features of Word 2003 and Word 2007 infringed on a patent from Toronto-based i4i. A Microsoft representative said the company was "disappointed" by the verdict, valued at $200m (£128m), and would seek to have it reversed. Microsoft shuld accept defeat and not trying to get the whole world to bow at the mention of Microsoft. That's life. Some you lose and some you gain.By the way, not all can afford the cost of buying Microsoft products and no not everyone want's to go through the headaches of activating products (Some don't have internet connection you know). Get real, Leave Free Open Source Software (FOSS) alone!!! I often wonder.. when is software I write subject to patents? How do I know that?? I mean, actually, there will not be a single line of code I write that has not allready been written. And, in the end, is the behaviour of a piece of collaborating code that generates new and innovative functionality something subject to patents? So, what patents are being discussed all over the web? Its easy to make claims that we only need fear FUD, but you're looking down the barrel of a well-funded opponent who is *the* software industry in the eyes of many judges, such as the ones in Texas who would likely hear this case. Don't be so dismissive, friend. If you're right, that makes the case for simply suing better. Instead, they continue to prattle sabers. "You'd better be scared of us, because we've got a really big gun in our pants." More desperation from the MS camp. I think it's an absolute shame that a business giant like Microsoft is such a poor example of how to conduct business. Instead of embracing the idea of healthy competition and being innovative, they choose to sling threats and play mind games with vendors and customers alike. This company has done it's share of borrowing ideas from others. The whole Intellectual Property issue is getting old and way out of hand. We can keep that merry-go-round turning forever if we so choose. I think it would be in MS' best interest to put the childish bullying away and begin doing business. All this chest-pounding and finger-pointing only damages their public image and does nothing to distract us from the fact that the latest installment of their operating system stinks to high heaven. MS has been talking down to the open source community for a long time, now. But after all this time, look at where we are at present. Linux is now desktop ready and has captured a considerable chunk of the server market, not to mention the embedded market. There are those who will tell you that Linux is far from becoming mainstream. I beg to differ. If we are so far off, then why is MS in such a snit? The fact of the matter is that MS has found itself sitting on it's laurels. Some fundamental changes are taking place, and MS either hasn't noticed, or doesn't care. Times have changed. We have a new generation of computer users who are savvy. They don't need and/or want an O/S that holds their hands. They want power and freedom. They aren't afraid of computers the way their parents were. They want and expect more. Even their parents are moving on and looking for a change. Folks are tired of the blue screens and having to re-install their operating system every year because it's become bloated and unstable. As I write this, it occurs to me that perhaps a monopoly will never again be possible. We've become more sophisticated...savvy...diverse. Perhaps THAT is the thorn in MS' paw; that they have lost a portion of the market that may never be regained. Perhaps they aren't content with a smaller piece of the pie. But all speculation aside, MS needs to find it's place in this changing environment. If hardware vendors were more co-operative and software vendors wrote games for Linux, MS would have been buried a long time ago. Take this grace period to re-think your game plan, MS. Opportunities exist, but the clock is ticking.